What the Heck is a Tabaccaio…and How Do You Pronounce It? Even with the best English-Italian dictionary, some Italian words baffle. 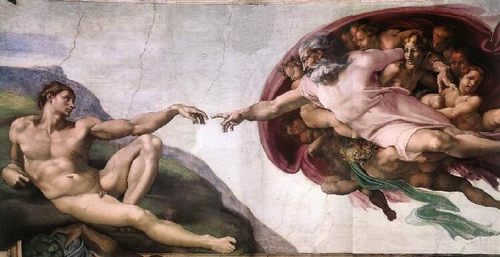 Like tabaccaio. "Tobacco shop," sure. But what else is going on in there — and why does everyone seem to think it's so useful? 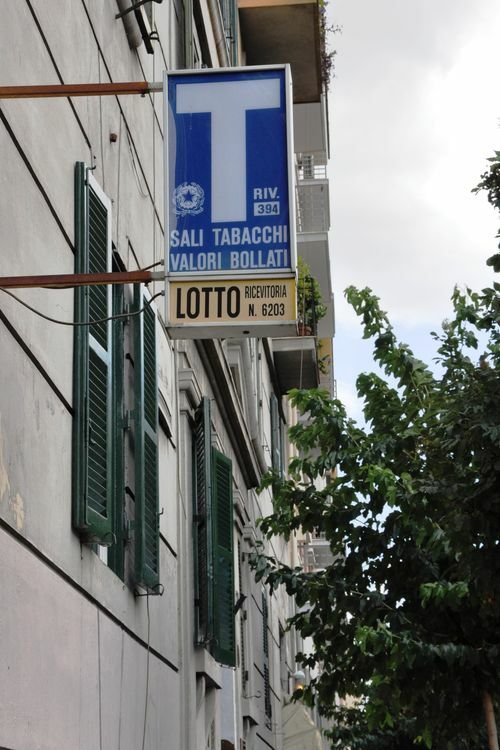 Second, a tabaccaio is not just a tobacco shop. Yes, you can get cigarettes there — but you can get a bottle of water, gum, and likely postcards, batteries and international calling cards, too. Most usefully, it's where you can get tickets for public transport. At the counter, just ask for "un biglietto per l'autobus" or "due/tre/etc. biglietti" (the ticket works for the bus, tram and metro); it's €1 per ticket. You'll also see Italians using the tabaccaio to pay their electric or phone bills and to "top up" their pay-as-you-go phones. When you're looking for a tabacchaio, just scan your street for the telltale blue sign with a white T. Just remember that many tabacchi, especially outside of the tourist centers, close during lunchtime and around 6 or 7 at night. Can You Drink from Rome's Water Fountains? Really? Ending August 3. The saldi (summer sales). If you miss these, you'll have to wait until January! Ending August 8. Opera at the Baths of Caracalla (shown above). This year: Aida and Rigoletto. Ending August 9. 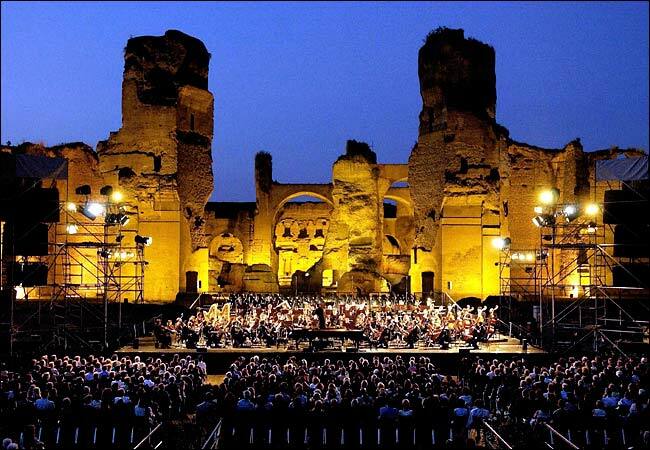 The "Roma Incontra Il Mondo" festival with nightly concerts at the Villa Ada, a lovely, enormous park in Rome. Ending August 15. Rock City, a festival in the Park of the Aqueducts featuring nightly concerts and restaurant stalls. (On the smallish side, but fun). Ending August 19. 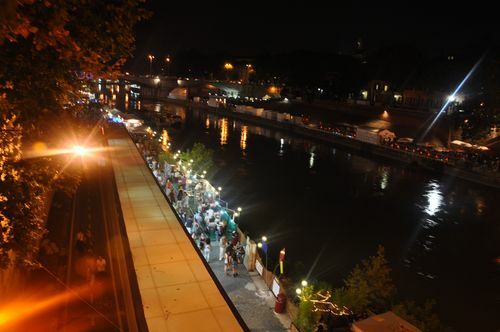 Lungo il Tevere Roma, an enormous nightly festival at the Tiber River. Ending August 31. L'Isola del Cinema, showing films nightly at the island on the Tiber River (both foreign and Italian). Ending September 4. Nightly jazz concerts at the Villa Celimontana. Ending September 4. All'Ombra dell'Colosseo, a pool (with events like aperitivo and concerts) in the Colosseum's shadow. Ending September 5. La Forma del Rinascimento ("The Shape of the Renaissance"), with works by Donatello, Bregno, and Michelangelo, at the Palazzo Venezia. Ending September 5. L’Età della Conquista ("The Age of Conquest"), an exhibit on the founding and Greek influences of the Roman Empire, at the Musei Capitolini. Ending September 8. Colori dell'Ara Pacis, a light show showing the Ara Pacis as it would have been. Wednesday nights only. Ending October 3. The Colosseum's Gladiators exhibit. It might just be the best event in Rome, at least in the summer: On every night until September 1, the Tiber River’s banks come alive. More than a kilometer of stalls line the river—each one a shop or cafe, restaurant or bar. If you’re a shopping, or strolling-and-people-watching, kind of person, the possibilities are endless. On my last walk through the festival, called Lungo il Tevere Roma, I perused jewelry, bought fistfuls of dried figs and kiwis, sipped a mojito in a swanky bar, and even watched one of the last World Cup games. Compared to Rome’s other culinary options, I wouldn’t recommend having a full meal at the festival. 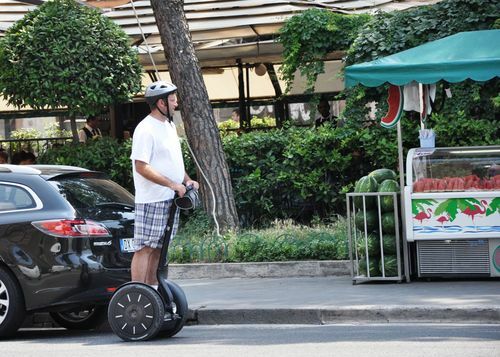 But for a walk, a drink or a snack, it’s a nice, breezy change from the rest of Rome. And despite the crowds of Romans there, the prices are pretty similar to what you’d get elsewhere in the city. For more information, check out the Lungo Il Tevere 2013 festival’s website. 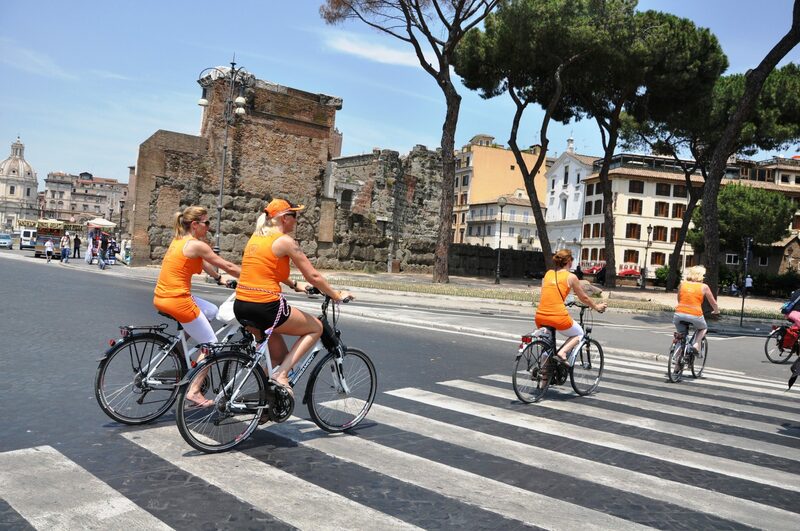 The fun starts every night around 8pm, and runs from Ponte Palatino north to Ponte Sisto. Click here for a map. Who ever said Italy's Ministry of Cultural Heritage and Activities was behind the times? On July 1, they launched an iPhone application to help tourists, and archaeologically-engaged locals, find their way around the city's top sites. Called the i-Mibac, the application offers information about opening hours and prices, as well as an expert's overview. 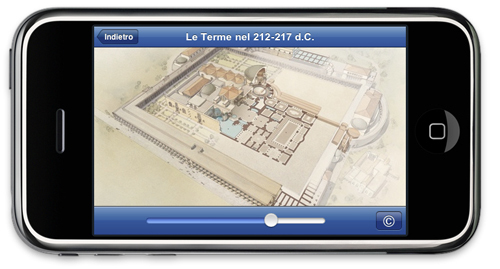 Most exciting, though, is that you can book your tickets straight from your iPhone — particularly helpful at sites like the Colosseum, where the line can stretch around the block. The app can be downloaded, for free, at the apps store. Right now, it works on the iPhone, iPad and iPod Touch, but the ministry says it's working on making it available on other smartphones, too. 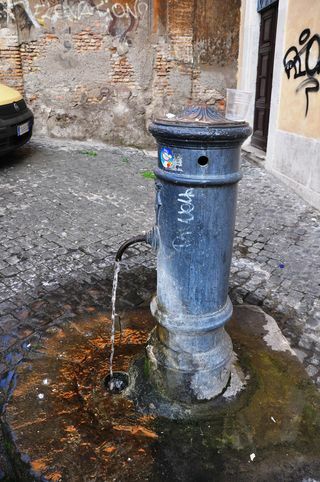 Can You Drink from Rome’s Water Fountains? Really? There's one question I often get in Rome: Is the water — especially from all those, yuck, public fountains — safe to drink? The short answer: Yes. And it tastes good, too. Rome's never been a city limited in water usage, as I wrote in my recent Guardian piece. By the first century A.D., thanks to the aqueducts, the city had 1,000 liters of water available per person, per day. Today, there are 500 liters available. Per family. Still, though, more than enough. And lots of that water still freeflows out through the fontanelle (little fountains) placed around the city. (You might also hear these fountains called nasoni, after their nose-shaped spigots). The water's brought in from outside the city. It's safe. Fresh. Super-cold. So do as the Romans do: Save your €1.50 and refill your water bottle at the nasoni. There are 2,500 in the city, so you shouldn't have trouble finding them. One last tip: If you plug up the end with your thumb, the water will spurt out of a handy hole on the top, providing you a makeshift water fountain. See, modern Romans are good engineers, too! Well, sometimes. 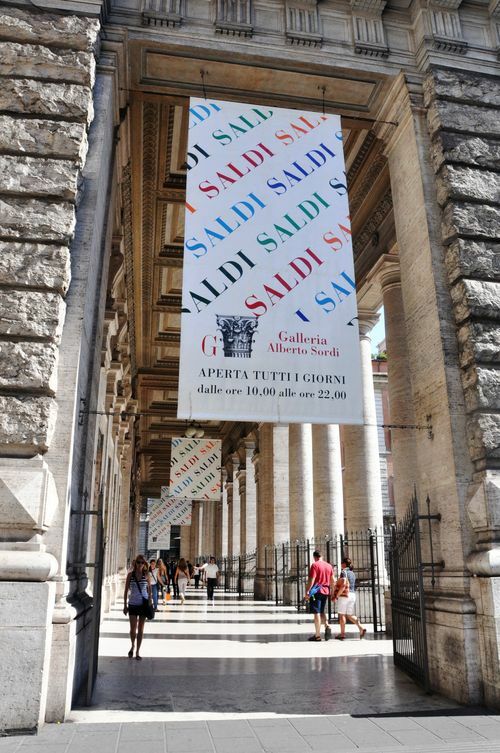 For those of you in Rome who don’t live under a rock, you’ve probably noticed that the saldi — or sales — have arrived. And for those visiting, you might be wondering what all of the excitement, and the overcrowded stores, are about. Unlike in, say, the U.S., Rome’s stores don’t have to tend small sales year-round. Instead, they have big, city-wide sales twice a year: post-Christmas, and July. The first few days of the saldi can be crazy. The already-overworked-and-underpaid salespeople (seriously: I went into a popular shoe store the other day where there were 10 shoppers and just 1 worker, who had to get the shoes, make the sales and ring everything up by herself) are even more frantic. The line to try clothes on at Zara, always long, gets longer. The wait to get the attention of a salesgirl at Sisley, usually tough, becomes all but impossible. But, but, but. The sales DO tend to be pretty good (often up to 50 percent off). And if you can’t bear to brave the crowds right away, don’t fear: The saldi will go on for another 5 or 6 weeks. They’ll keep cutting prices, too. Just remember that with a bunch of discerning Italians having come in before you, the good stuff will probably be gone. It can be tough to simply stumble across great restaurants in Rome, a city that’s thick on the ground with mediocre, overpriced dining options. And so, to eat at the very best restaurants in Rome, it’s always advisable to have a list of recommendations with you (and to make reservations in advance). But what if you just want to eat well, avoid Rome’s worst dining options, and not spend tons of time researching and booking restaurants? Then just keep these five rules in mind. 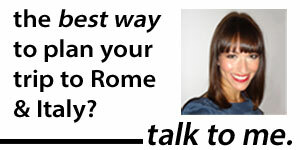 Also: what to know about Rome’s scams, where to eat in Rome’s most touristy areas and can you really drink from the water fountains? 1. 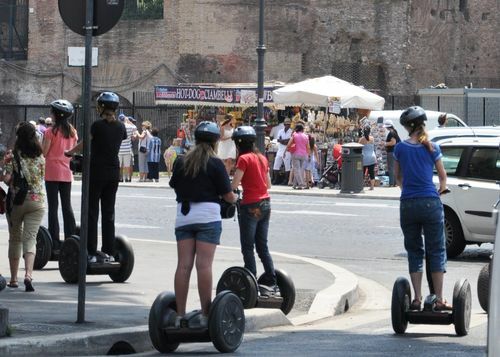 Get away from the uber-tourist centers… or at least be aware that the closest you are to, say, the Colosseum, the harder it’ll be for you to find top-notch nosh. There are some notable exceptions to this: The local favoriteTaverna dei Fori Imperiali, for example, is remarkably close to the Roman forum for having such darn good food. But while the family that runs Taverna has the pride and business acumen to keep their food delicious and their prices moderate, not every restaurant so well-positioned will do the same. 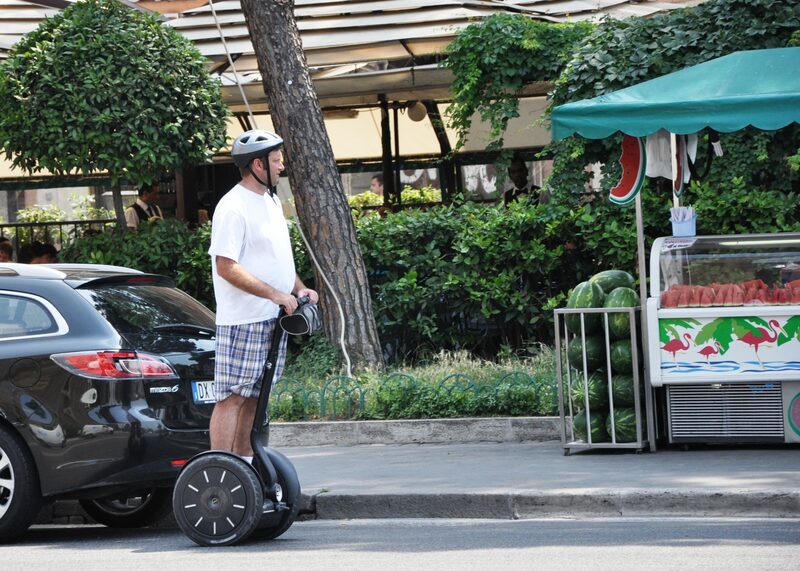 Especially watch out for the areas right around the Vatican and the Trevi Fountain, which are veritable food deserts. 2. Run, don’t walk, away from that oh-so-friendly host trying to get you to come inside. He seems nice? He speaks English? He’s telling you you’re beautiful and your husband is a lucky man? That all means one thing: His food’s not good enough for people — most notably Italians — to come in on their own. He might be nice. But that host is a sign that you shouldn’t eat here. 3. A tourist menu can be okay. Yes, if it’s posted on the door as “MENU TURISTICA: 10 Euros for appetizer, pasta, and wine!”, you might be in trouble. But if you go inside and are handed an English menu, don’t worry. Most restaurants do this these days. 4. Never look for a place to eat at 6pm. Or 7pm. Or anytime before 8. As a general rule of thumb, if it’s open that early, it’ll be catering to tourists: Italians never eat before 8:30. 5. Trattoria, hosteria, taverna…meh. Any difference there once was between these has pretty much slipped away. Just remember that a birreria is more a place for fried food and beer, and that most good pizzerias aren’t open at lunch. Finally, remember what you’re looking out for: That hole-in-the-wall place that doesn’t even look like a restaurant on the outside, but when you walk in (remember, at 9pm), it’s bustling with Italians. 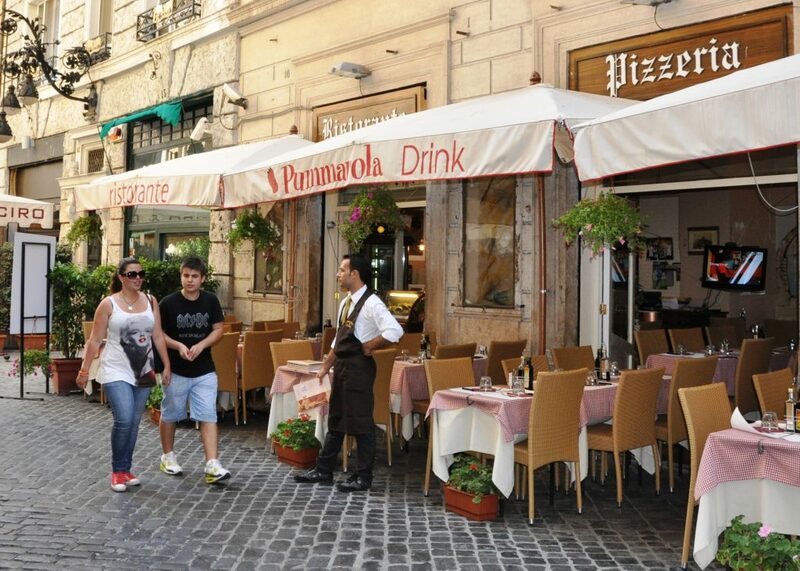 Eat only at gems like these, and you’re guaranteed to have some of the best food in Rome.